The Scottish Friendly Children’s Book Tour is exploring new territory this year and in February we are heading across the Irish Sea, taking brilliant Scottish storyteller Lari Don to Northern Ireland and visiting over 1500 pupils from 13 schools. 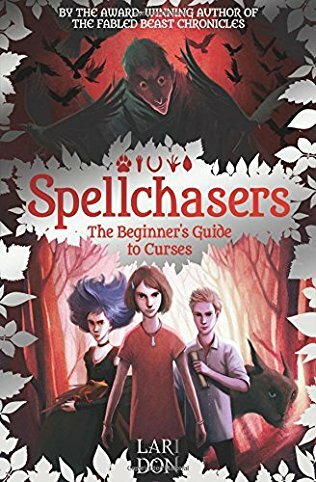 To celebrate Lari’s upcoming tour, we are giving away a signed and dedicated copy of the brilliant Spellchasers: The Beginner’s Guide to Curses! If you have it, you want to share it. If you share it, you don’t have it. What is it? The closing date is Wednesday 22 February. To enter please add your answer as a comment below along with your name, who you would like the book to be dedicated to and email address. View full terms and conditions here. Lari Don was born in Chile, and travelled widely in South and Central America as a child, before her family settled in North East Scotland. She studied at Glasgow University, then became a Press Officer for the SNP. Later, she worked as a researcher and producer for BBC Radio Scotland before emerging as one of Scotland’s most exciting writers for children, with fiction ranging from picture books to gritty YA sci-fi. Lari is very secretive about her novel ideas, not revealing details to anyone until she’s nearly finished! Molly doesn’t believe in curses, spells, witches or fairies, but she cannot explain why she turns into a hare whenever a dog appears. She begrudgingly attends Mrs Sharpe’s ‘Curse Lifting Workshop,’ which she runs under the guise of a farm shop. 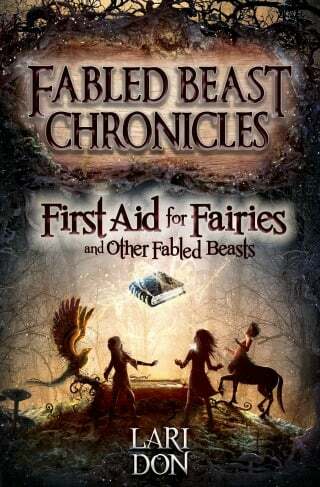 Molly soon discovers she is definitely cursed, Mrs Sharpe is a witch, and that fairies, Kelpies, Dryads and Sphinxes also exist as she is swiftly catapulted into a magical quest to free herself of curse. Helen has absolutely no interest in becoming a vet like her mother. So she isn’t best pleased when asked to help an injured horse. Only this horse isn’t entirely normal …and nor are his friends. Without warning, Helen is thrust into an extraordinary world full of magical rituals, fantastical creatures and a dangerous, powerful beast known as the Master, who would destroy it all.